Named in the Top 25 Though Leaders in Technical Support and Service Management for 2019 by HDI for the third year in succession. 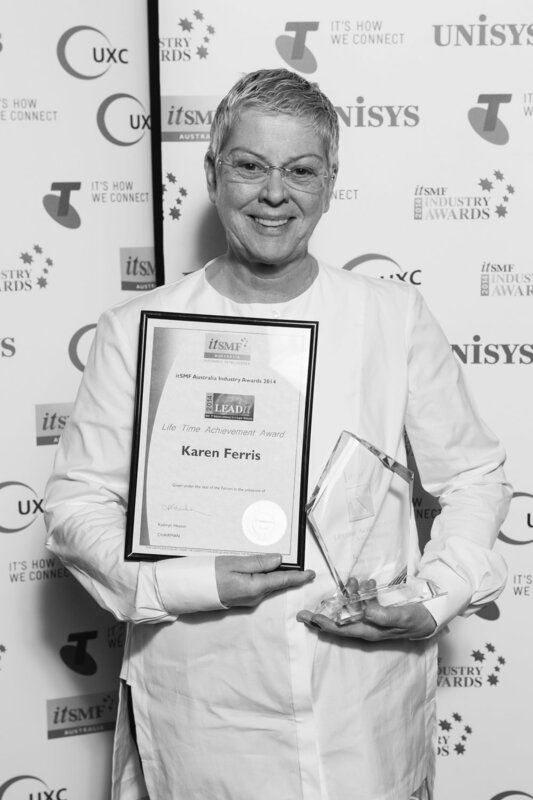 Winner of the Change Management Institute (CMI) Victoria 2018 Rebel Award. Named in the Top 25 Thought Leaders in Technical Support and Service Management for 2017 by HDI for the second year in succession. This award shines a spotlight on outstanding accomplishments of industry professionals for efforts driving BRM community involvement/stewardship, convergence, business value, creativity/innovation and overall make the world a better place. Lifetime Achievement Award, itSMF Australia for contribution to the service management industry. Inaugural Service Management Champion Award, itSMF Australia. Presidents Prize, Best Speaker, Australian National Conference.